Hello all! It’s been a very busy month and our blogging has suffered! We have much to tell you about, including our wonderful visit at the Sacramento Crisis Nursery Center (stay tuned). Today we’ll focus on the future! Dia de los Muertos in Sacramento! 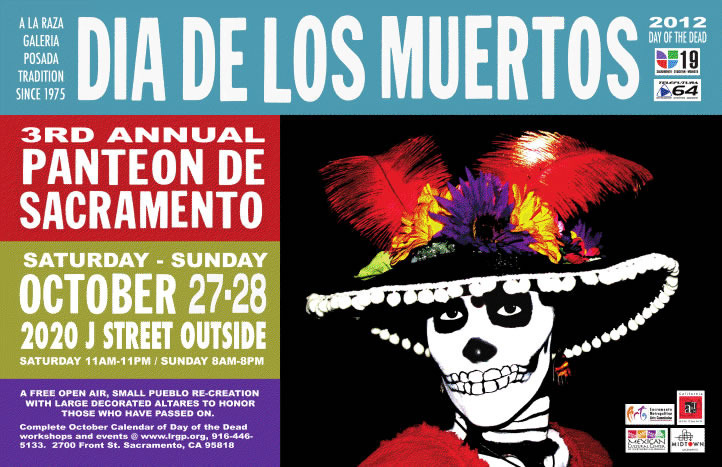 This weekend we are participating in La Raza Galería Posada’s 3rd Annual Panteon de Sacramento, both Saturday and Sunday in midtown. You might even see a few Chicas out there with Dia de los Muertos makeup on. We took a makeup class at Spanglish Arte last weekend! 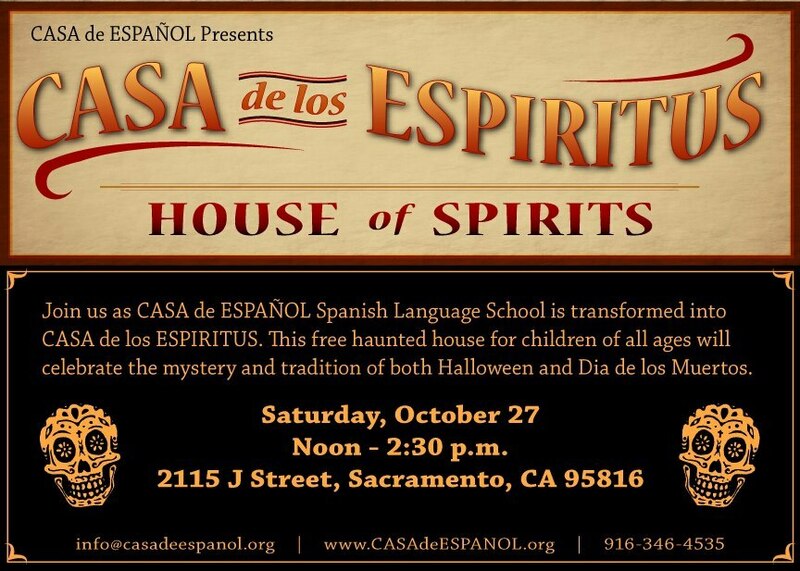 Also on Saturday, CASA de ESPAÑOL is hosting a bilingual haunted house from 12-2:30 – located down the street from El Panteon! Perfect. The Chicas Latinas de Sacramento have been giving in the Sacramento Community for over 3 years. We’re becoming a nonprofit and we need your help! We’re only ONE form and fee away from becoming a nonprofit – PLEASE HELP US, HELP OTHERS!!! » » » The Chicas are asking our community and supporters to DONATE $10 – all proceeds will go towards securing our nonprofit status (any amount will help, please give what you can).